Sofa Beds, don’t lose sleep over it!!! – My Top 10. Our home is a two bedroom apartment. When we first moved in we would always refer to the second bedroom as the spare room, as if it has it had no real function. One thing I was really dead set against was it becoming a forgotten storage area. Which was not the case at all. It actually needed to have many functions. One was as an occasional guest bedroom. Although we don’t have guests to stay that often, because they often comes over from the UK, they tend to come for longer then a couple of nights. Secondly and for the main part of the time, it needed to function as a study/home office. Thirdly it needed to act as a second seating room to our main living room. This is so if The Fella wants to watch the television, I have a comfy room to go and read or even have a nanna nap. 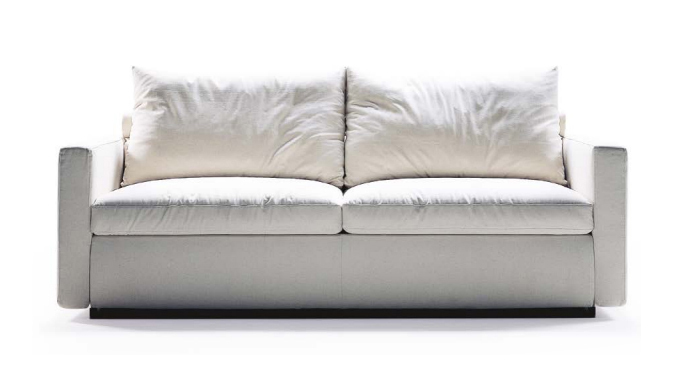 So one of the most important pieces of furniture for the space was a sleeper sofa or sofa bed. Now we have one that we bought when we first moved to Australia, so that’s nearly 14 years. So it’s time for a new one. One thing that was a must was the sofa bed needed to be comfortable for guests, so it needed a pull-out metal action rather then a futon or a fold down type. Let me tell you this task was easier said then done. Not because you just can’t buy a pull out sofa bed, more that they are all the same chunky, brown, dated looking designs. But hey, don’t look so down just yet, I did find some that are not chunky, brown or dated looking. And to the one I have my eye on, well it’s this one from the Sofa Studio. 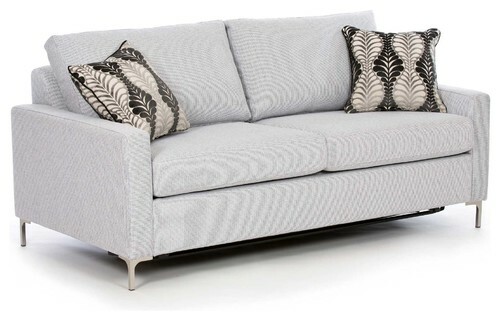 It’s called ‘Squire’, I love the slim look with the tufting details on the cushions. This is ‘Husk” in Onyx from Warwick Fabrics. I love the dark colour and texture. Then I will add a pop of colour with some cushions. ‹ PreviousI owe you one.